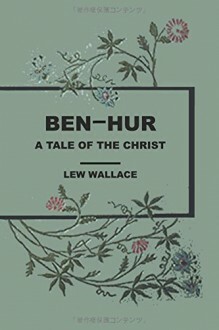 Ben Hur is a historical novel based on the Life on Jesus. Hur was a companion of Moses and Aaron in the Bible. He was a member of the Tribe of Judah. Ben Hur means “Son of Hur”. Judah Ben Hur is an important and powerful man but he is falsely accused of attempting to assassinate the governor. Ben Hur was leaning over the parapet looking at the new governor arriving below when a tile broke loose and fell injuring and almost killing the governor. Although this was an accident, Ben Hur is accused of trying to assassinate the Governor. He avoids the death penalty by being sentenced to life in the galleys instead. Ben Hur is sentenced to slave labor in a Roman war galley. Along the way, he unknowingly encounters Jesus, the carpenter's son, who offers him water. Once on board the ship, he impresses a Roman admiral, Quintus Arrius, who allows him to remain unchained. When his ship is attacked and sunk by pirates, Ben Hur saves him from drowning. Arrius treats Ben Hur as a son because his own wife and child have died. He makes Ben Hur a Citizen of Rome. Over the years, the young man grows strong and becomes a victorious chariot racer. This eventually leads to a climactic showdown with Messala in a chariot race in which Ben Hur is the victor. Messala does not die, as he does in the 1959 film, but is so severely injured that he will never walk again. Ben Hur is eventually reunited with his mother and sister, who are suffering from leprosy but are miraculously cured by Jesus. Ben Hur becomes a Christian and uses his wealth to build the catacombs in Rome which enables the Christians to worship in secret.